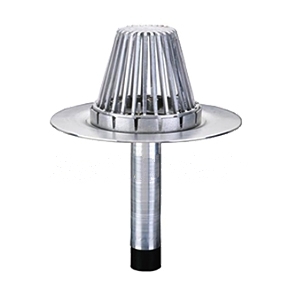 PRODUCT: 3" Hercules RetroDrain, 3" output, with Cast Aluminum Dome, 17-1/2" diameter base flange, 12" long drain stem. All Aluminum Construction. Price/Drain. 3 inch Aluminiator, all Aluminum Retrofit Drain. ProSeal Rubber Seal, 16 inch diameter .081 Gauge Spun Aluminum Base, Aluminum Clamp Ring, 10 x 4-5/8 3 Bolt Aluminum Strainer Dome, 12 inch long drain Outlet fits into 3 inch Drain Pipes. Price/Drain.